A PADI dive center established in 2007 Zanzibar Watersports has stuck to its commitment to provide all manner of watersports for enthusiastic travelers. Our perfect safety record is a testament to these ideals. With dedicated expat and local staff, we strive to offer the best experiences the ocean has to provide. Zanzibar Watersports is not one of those dive centres that like to fill boats with as many divers as possible. We always keep our groups small and manageable so we can deliver a personal service. Good friends have been made as people excitedly talk about the latest new creatures they have seen. There is nothing like swimming with a school of playful dolphins or spotting yet another turtle to get you chatting! We like to make everything very easy and so our trips are never rushed and always relaxed, just like Zanzibar! Kendwa Rocks is situated 5km south of Nungwi, on the west coast of Zanzibar. Kendwa Rocks boasts one of the nicest beaches in Zanzibar, with pristine white sand and incredible wide beaches ideal for all beach lovers. The hotel has selection of eight different types of accommodation. The rooms range from basic budget rooms to large spacious en-suite rooms with incredible sea views, and all the comfort any traveler seeks. All rooms are set within tropical gardens and just a short walk down to the sea. The hotel offers a fully stocked bar and a mixed cuisine of local and international dishes. Zanzibar Watersports has set up a newly-built five star dive centre at Kendwa Rocks, combined with an array of various other watersports, offering guests the opportunity to enjoy amazing diving and snorkelling, big fishing, traditional dhow cruises, and perfect conditions for kayaking, windsurfing and waterskiing. Paradise Beach Bungalows is situated in the heart of Nungwi Village, overlooking the sea. Paradise caters for the budget traveller, with its simple en-suite rooms, just metres from the shore. The hotel has a fully stocked bar and a restaurant that caters for local and international cuisine. While the rooms are simple, they offer great sea views and are excellently located to explore the rest of Nungwi village and all its facilities. 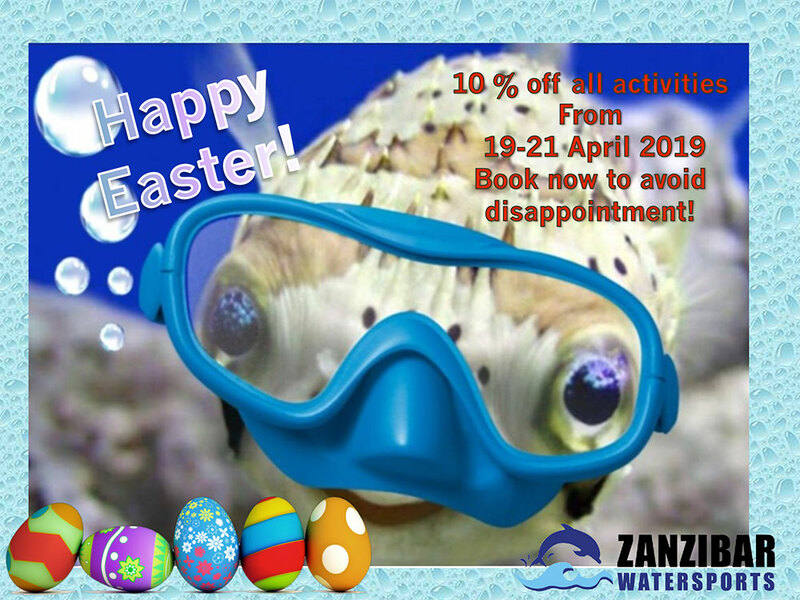 Zanzibar Watersports has an on site dive centre which offers a personalized service to all of the guests of Paradise and surrounding hotels. The centre offers a wide range of watersports from diving and snorkeling to big fishing, traditional dhow cruises, and perfect conditions for kayaking, windsurfing and waterskiing.